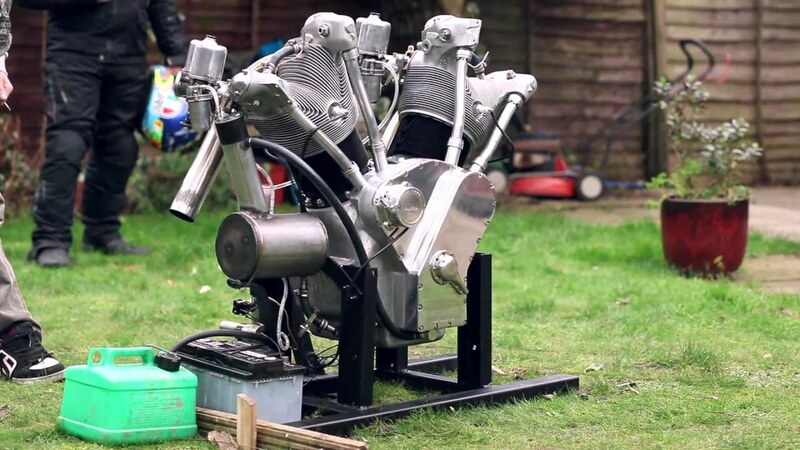 Check out this video where these guys do the first test run of their 5 liter V-Twin engine based on two Pratt & Whitney R1340 aircraft cylinders. Everything else in this engine including the connecting rods and crankshaft were custom made by these guys. Which if you ask me is pretty impressive considering the amount of machining skill and precision it would take to manufacture those parts. The engine also runs a dry sump with twin pumps, twin SU carbs, points ignition with manual advance / retard and twin plugs per head. This leaves just one question, what would you put this into? Luckiest people on earth !